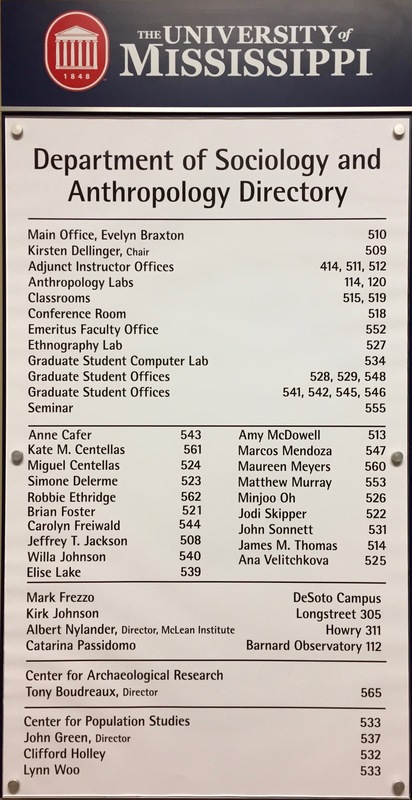 The Department of Sociology & Anthropology is open Monday through Friday, from 8:00 am to 5:00 pm, every day that the University of Mississippi is open. Consult the university holiday schedule for a list of office closures. Individual faculty office hours for Fall 2017 are listed below.